Like The Sound of Music, Shirley Temple’s Heidi is a scenic, classic film that all young families can watch together at home. Talented, curly-headed Shirley Temple is adorable in her little dirndl dress, playing the Swiss orphan girl living with her grandfather in the Alps. 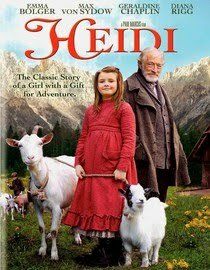 Never mind that the 1937 movie was filmed in Big Bear Lake, California, not the Alps, there’s culture to be gleaned from Heidi, her lederhosen-wearing grandfather, and the young goatherd, Peter. Watch the trailer here to bring back your own childhood television memories. 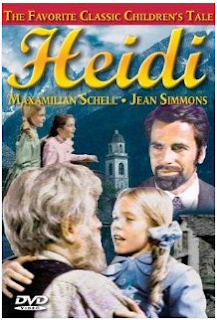 If you prefer, there's a 1968 TV adaption of Heidi with Maximilian Schell. You can watch the whole movie on Hulu here. There's also a Walt Disney classic television drama, with a little more authentic scenery. It was filmed in Salzburg, Austria, and the Tyrolean Alps. This 1993 feature stars Jason Robards, Jane Seymour, and Patricia Neal. And finally, if your family prefers more current films, there's a 1995 Heidi DVD with contemporary-paced action and stunning mountain scenery, although it was filmed in Slovenia and Wales, not the Alps. Watch the trailer here. 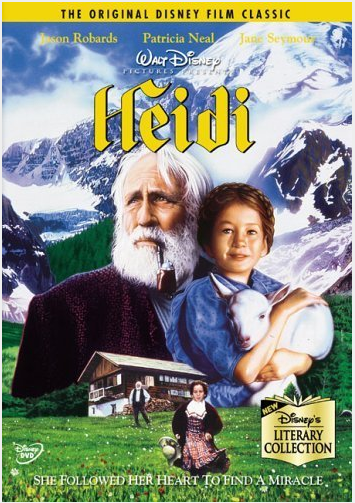 The story of Heidi is timeless, no matter which film production, and a lovely introduction to alpine life for even the youngest of children. Enjoy! I love your blog! I want to travel more with my daughter, hoping this will be some great inspiration! :) Thanks for following! I haven't seen this movie! I think the Shirley Temple version is the best! 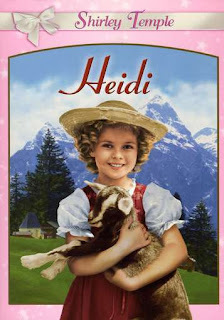 I don't know how I missed the Shirley Temple version of "Heidi" when I was little, especially because she's one of my favorites! But, the one I remember quite well is the 1968 TV version you mentioned above. When I think back to favorite childhood movies, it's at the top of the list! It's quite sad to see something like this written in this age, one would imagine it's not such a problem to Google the map online and see what covers 60% of Slovenia! It's the Alps my friend!